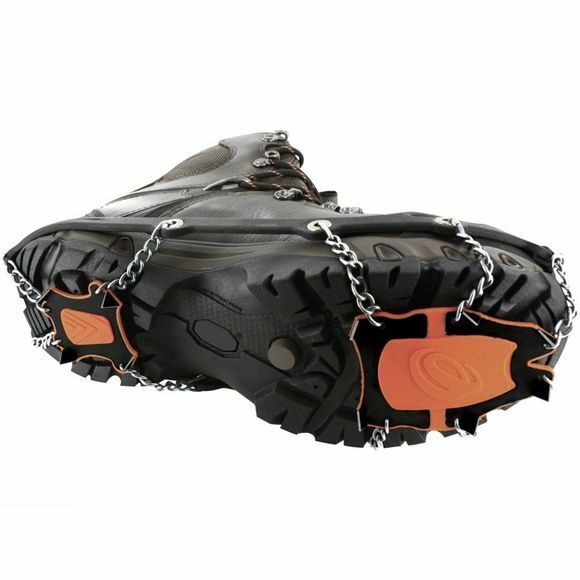 The Yaktrax XTR model provides bettter traction on snow and ice. Designed for anyone who enjoys low level hiking during the winter. While Yaktrax is designed to provide greater traction on ice or packed snow, always exercise caution and use extreme care when walking on ice and packed snow. 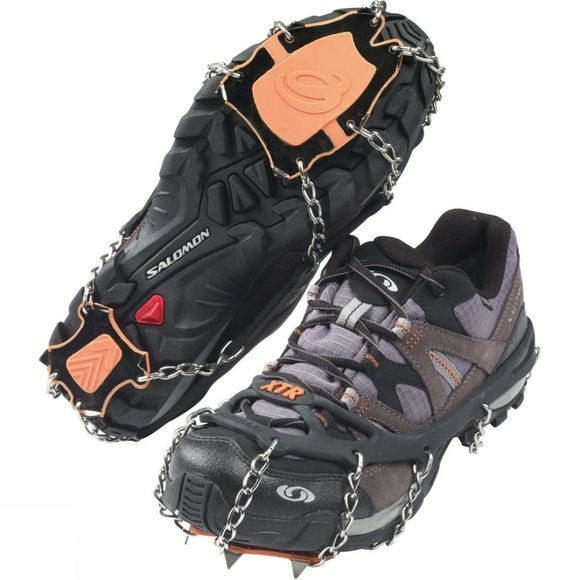 Yaktrax will not eliminate the inherent risk of such conditions. Additionally, Yaktrax will not eliminate the inherent risk and dangers posed by the performance of any activities under such conditions. When wearing Yaktrax, always exercise caution and extreme care. Failure to do so could result in injury. Yaktrax is not for use on gravel, concrete or sanded roads cleared of snow. Avoid surfaces such as marble floors or any non-icy, non-snowy surfaces when wearing Yaktrax. Yaktrax is not for indoor use. The improper use or installation of Yaktrax could result in injury. Always use common sense when using any traction device on ice or snow.